Home / Posts tagged "android mobile app development"
Last week Google officially announced the beta 1 of Android 10 Q, which is available for Google’s Pixel devices. The release of the final version of Android Q is scheduled in Q33 of this year, before that there are six beta versions will be released. This version of Android brings some major changes in UI and quite a few innovations under the hood. Android Q also has a dark mode whose activation is quite complicated in Beta 1, for some specific reason. The beta version of Android Q is available to install for all Google Pixel devices (Pixel 1, 2, and 3) and includes a number of features from improved security to the support for foldable devices. The Android app development companies can download the beta version and start using it. UI Changes: The UI changes consist of options to set-up accent fonts and colors in developer settings. This is one of the common features that most of the devices have for ages; with the Q update, this will be natively supported. In this version of Android Q, the theming option is in developer sections, which is quite confusing. Another change in the UI is the visual improvement in the sharing menu and the estimated battery life is shown in the status bar. Next major change is in the screenshot, they have included the rounded and notch corners on screenshots for devices that have the rounded and notch corners. Privacy Protection: With the Android Q, users can now have control over various apps and their access to the distributed files. Also, the user will be able to track on an app’s access to the videos and images. Apart from this, a user can also control the access of files to apps. Few other privacy features offered by Android Q have limited access to device identifiers like IMEI, serial numbers, etc. Foldable Screen Support: With Android Q, the android application development team will be capable of controlling the way their apps should look on the large and foldable screens. To allow users to make the most of these features, Android Q comes with a few improvements like modifications to onPause and onResume to allow multi-resume, etc. To assist users in managing how her/his app is being displayed on a foldable and large screen, Android Q has also made some changes the way the resizable Activity manifests attribute works. Also, the Android Emulator has been updated to support the multiple-display type switching. 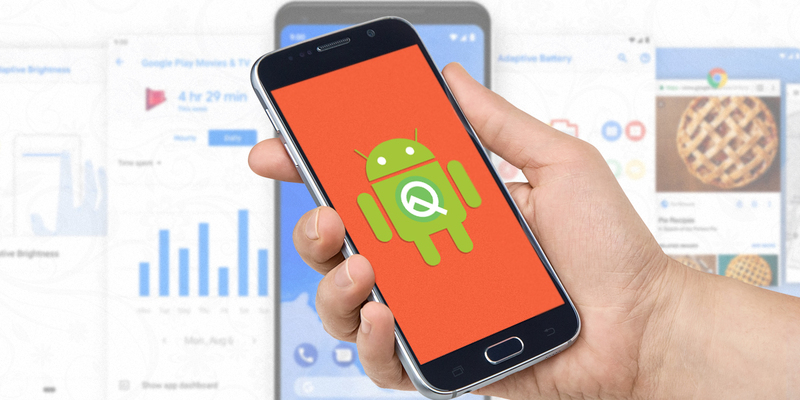 Control over Locations: The upgraded OS of Android Q Beta First facilitates a user to manage an app in searching his/her desired locations. For example, when an app is searching for a user’s location to deliver a product, it makes sense and the user might allow the app to access the location. Setting Panels: The incorporation of Setting Panel API has made it possible to display the system settings in an app’s context. This is taking the benefits of the Slices features from the Android Pie. The Setting Panel is a floating UI that can be evoked from an app to display toggles as well as system settings. Mode of Wi-Fi Performance: Android Q Beta First ensures a low-latency mode and a very high performance for several wireless connections. The enhanced real-time gaming and voice calls can get benefited by this. Improved Network Connection: The Android Q can bring a distinct improvement in the privacy and performance by refactoring Wi-Fi stack. It can also boost the performance in common scenarios such as IoT devices management and suggestion of various Internet connections needing location permission. Better (Android Run-Time) Performance: Improved run-time helps apps perform quickly without consuming much memory. By improving the Zygote process, Android Q Beta First can initiate the app’s process and transfer it to a security container. Camera, Graphics and Media: In an Android Q Beta first, apps will have the ability to request the dynamic images, which includes JPEG or XMP metadata as well as the maps in the same file. This version of Android also supports a bunch of new audio and video codecs. Also, it allows audio encoding with open source video codec AV1, Opus, HDR 10+, etc. These are just some of the features that Android Q’s first version incorporates; there are five more beta versions to go before releasing the final version of Android Q. It’s high time for android mobile app development companies to start working on the latest updates. At Panacea, our team of Android developers has started researching about the updates and learning to incorporate the same in our upcoming projects to deliver the most compatible apps to every customer. In the digital era, businesses have to make critical choices in their selection of technologies to build mobile apps. Businesses have to constantly evaluate technologies to offer powerful digital experience on all operating systems and mobile devices. Enterprises that fail to offer products or services that are easy to use, regardless of device or channel, risk falling behind in the technology-driven world. In some cases, the cross-platform app development can be problematic. Despite a developer’s best efforts, in many cases, the user experience holds behind the actual native application. In the past few years, we have seen the rise of several mobile frameworks such as AngularJS, React Native and Xamarin which help to produce these digital experiences in the easiest way. And recently in December 2018, a new player enters the game and its Google’s Flutter. The Flutter’s hot reload feature allows developers to track changes they make in less than a second and change the app structure within ten seconds. You can see the modifications as soon as you save it, which eliminate the need to run another Gradle build. With the elimination of the Gradle rebuild, app development time is reduced by 30% to 40% as the Gradle rebuild takes a long time with every modification being applied. Unlike in android mobile app development process, where there are two separate files for front and backend, Flutter uses Dart, which does both frontend and backend in one code and uses a reactive framework. Dart comes with many popular languages without losing the familiarity of Java and other similar languages. It was built considering developer in mind and thus it eases a lot of common tasks easier for developers. Flutter’s Material design specification facilitates developers to create powerful UI experiences with ease. It helps to generate a crisp, smooth experience which you typically see with native applications. Flutter comes with widgets which implement the Human Interface Design specifications for the iOS operating system, allowing you to experience the native feel on iPad and iPhone as well. Developers can wrap one Widget inside another to get expected results and to make sure users have excellent experience irrespective of the platform they’re using. Flutter facilitates to assign the proper theme for different platforms using a ternary to identify which platform the user using; facilitating UI to make on-time decisions on which UI theme to use. Flutter has a large set of open source packages which eases a process of Android and iPhone app development and makes it simple to complete complicated tasks. Though it is relatively new in the industry, the library is increasing by bounds and leaps every day. The Flutter includes a prototype which makes apps work on a web browser. With the help of Flutter widgets and prototypes, developers will be able to use the single code for creating apps for mobile, web and desktop with ease. By using Flutter, you can create and release an app on multiple platforms. With its latest and unique features, Flutter will be the ultimate choice for businesses with limited budget and time to get their product in the market. In recent years, mobile phones have become an extension of our life for almost everything. We use smartphones for music, clocks, alarms, e-newspaper, watching YouTube videos, catching up with friends across multiple platforms like SMS, WhatsApp, Facebook and Viber, checking email, various corporate apps for project management, time management and much more. Current statistics suggest that in 2020, 2.87 billion people would own smartphones. 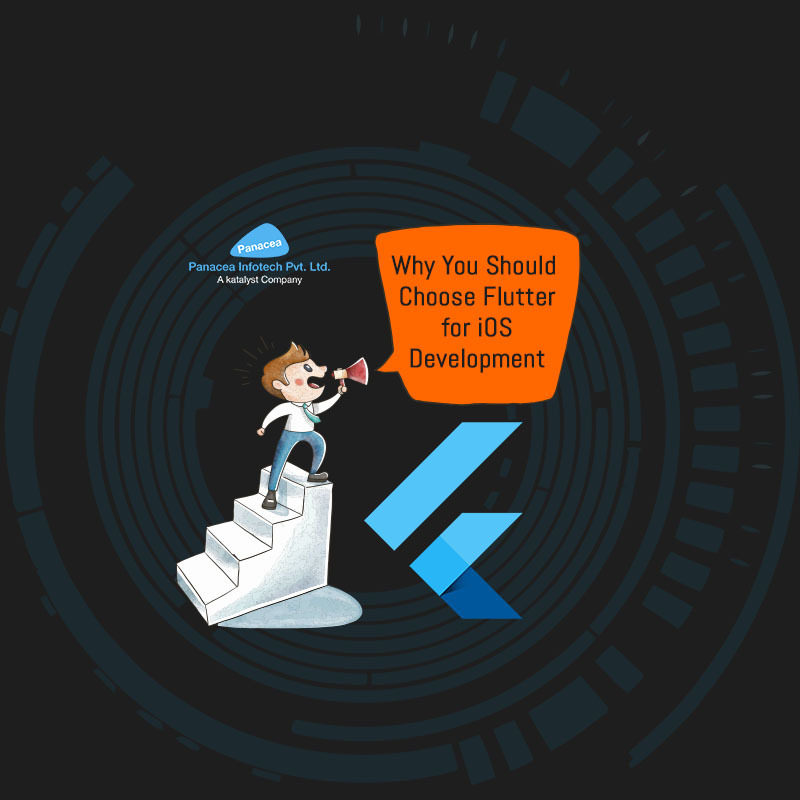 This helps drive new ideas, innovation and exciting iOS and Android mobile app development trends to catch up with a growing demand of smart devices and apps on them. Here is a list of the most important and exciting tech ideas and trends to keep an eye in the coming years. AI is set to provide business owners with some mouth-watering insights via machine learning tech, cognitive interfaces to complex systems and advanced analytics. We can see the power of AI in the mobile app space with apps like Microsoft Pix, Hound AI and SwiftKey AI. Many of us of recently encountered with AR and VR. Both of these technologies have transformed the entertainment and gaming industries. Games like iOnRoad, Pokemon Go, myNav and Sky Siege are great examples of AR games. On the other hand, VR devices like Google Cardboard, Oculus Rift and Samsung Gear VR are gaining popularity. In 2017, global mobile payments surpassed $700 billion, a hike of approximately $500 billion over the past few years. Earlier in 2018, Google launched its payment service for simplified mobile payments. This brings Google Wallet and Android Pay under one umbrella. And we have an Apple Pay for iPhone users. Instead of using debit or credit cards, many people are utilizing apps on their phones to make payments, which give a big push to m-commerce. Over the years, the demand for personalization or customization from business has grown exponentially. Airbnb and Netflix are some of the best examples of personalization. These apps monitor users’ preferences such as ‘which movie you watch’, ‘what is your favorite holiday destination’ and ‘what you search the most’ and then they tailor information to offer a personalized experience to each user. 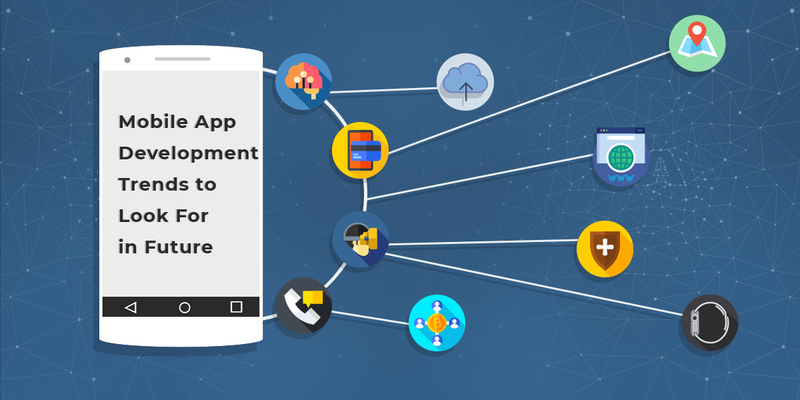 Many Android and iOS app development company are trying to incorporate this feature in their app by using big data. Cloud computing has boomed many industries in the recent years. 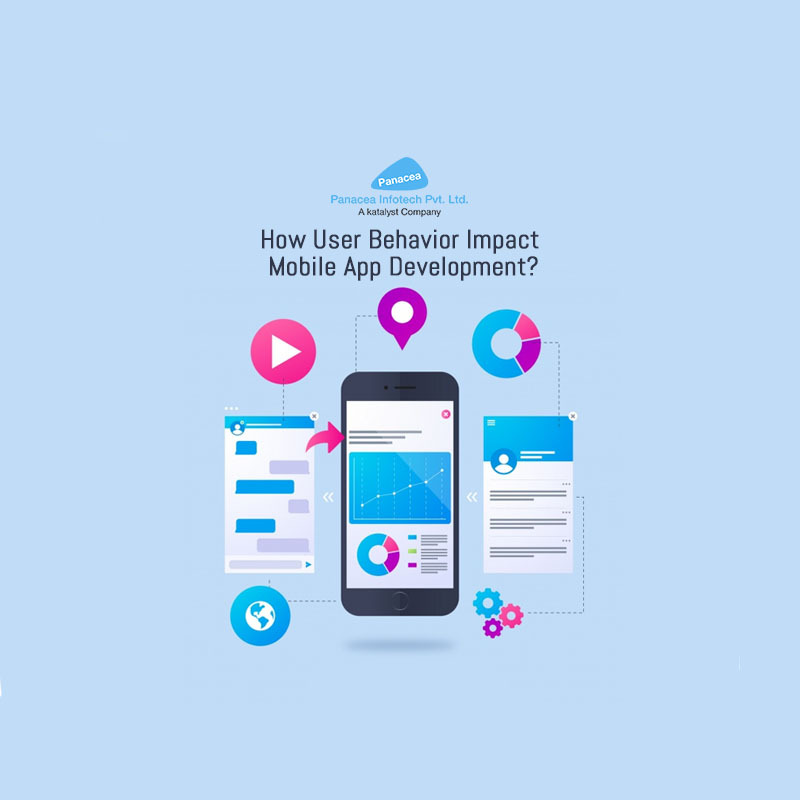 With cloud computing, developers can design an app that has less impact on the internal memory of mobile devices. Google Drive and Dropbox are the best examples of cloud computing. The wearable apps are diversifying and are going to be one of the fastest growing trends in the coming years. Currently, there is a huge range of wearable devices available, from smart watches to count your calories, smart sneakers to evaluate your walking pattern, smart gloves to assist you with your golf swing and wristbands to evaluate your sleep quality. Expect this only to get bigger. Blockchain is not only the technology behind cryptocurrencies, but it is more than that. The blockchain is a digital ledger of economic transactions, which can be designed to record not only financial transactions, but everything, that has value. It has the ability to change the way in which we currently operate our lives and businesses. The technology is expected to become more prevalent in business and everyday life. According to reports, around 75 percent of the apps available in the market wouldn’t be able to clear the basic security test. As many apps require personal as well as confidential information to install and run on smart devices, it has become important for Android and iOS app developers to pay special attention to security factor. The IoT is a physical objects’ network embedded with sensors, software, network connectivity and electronics. These elements allow objects to gather and exchange information without human interference. In the coming era, this incredibly exciting and game-changing is going to be an explosive technology. An application based on this tech is vast across healthcare, hotels, retail outlets, sports and event venues, museums, restaurants, and much more. Assisting businesses and people with relevant location-based data is only going to rise. The mobile app development is one of the growing industries and the next big thing is always coming here. Tech offers much more than excitement and innovation, which can change everyday lives on a grand scale and have the potential to solve big problems. The concept of marketplaces is not new, but with the increase in the use of smartphones and the internet, it has gained more popularity. A marketplace is a platform that gives an easy medium to connect job seekers with employers, customers with service providers, buyers with sellers, etc. So the question arises what benefits do marketplaces get in providing the trade between the two ends? There are several ways from which marketplaces get benefits like they can earn a lot of money with website ads, they can get good traffic on their website, and they can always ask for a cut whenever a trade took place on their platform. On-demand grocery delivery apps are one of the fast-paced marketplaces. Many grocery mobile apps like Grofers, Instacart, and BigBasket are exploring this business and undoubtedly the future of grocery delivery mobile apps will continue to blossom in the future. Many iOS and Android mobile app development companies in the USA have designed apps using the same concept. For quick availability and delivery of ordered products, you must depend on local suppliers and service providers. For a successful grocery delivery app, it is important to have a contact/agreement with a number of grocery store owners in every locality where you offer your services. The Android or iOS app development company can ask suppliers for a discount on the selling price or commission over the bill amount. Moreover, while designing an app, you have to search for a local delivery agency which will deliver the products to the delivery address. They charge a fixed amount for each delivery or can ask for a percentage of the bill amount. You can also ask iOS app developers to include delivery charges in the bill to cover charges agency’s charges. 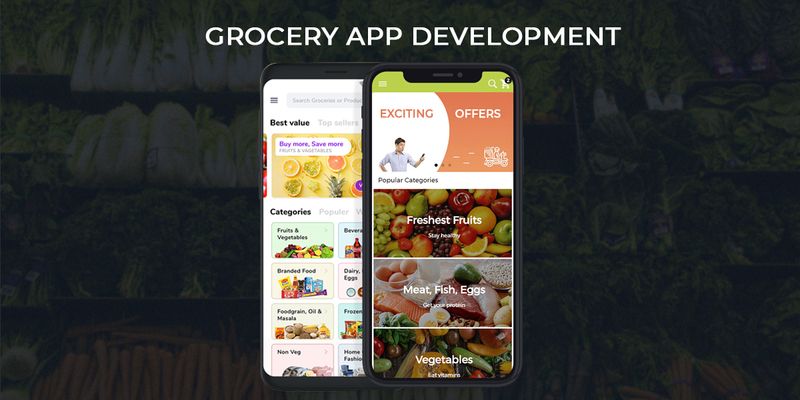 While most iOS and Android mobile app development companies are aware of the common features that an ideal app should have, but there are few features that are complex to define in on-demand grocery apps. A marketplace is very much similar to a normal grocery store aggregation platform; the only difference is that they have their own team of delivery boys to supply ordered groceries to the users’ homes. In independent store app, the grocery owner creates their personal app and carry out all functions on its own, including keeping an updated menu, maintaining the app, delivering the order, collecting money, etc. This type of grocery delivery apps simply lists nearby stores and facilitate users to choose the nearby stores to make an order. Using the online menu, users can order whatever they want in any quantity. The app places an order to selected store and waits for the confirmation from the store. Once the ordered is confirmed, a user can track their order using the tracking feature on the app. The popular grocery chains such as Walmart tend to have their own on-demand mobility solution that is same as an individual store at micro-level operations. Developing an on-demand grocery delivery app comes with certain risk, but has their numerous advantages. By keeping the benefits and limitations of all categories (marketplace, independent store, aggregator and grocery chain), you can choose which type of app you want to develop. Android’s latest version, which is 9.0, is termed as the Pie. The previous few versions of Android brought in a few tweaks, but Pie has some considerable additions that must be appreciated. 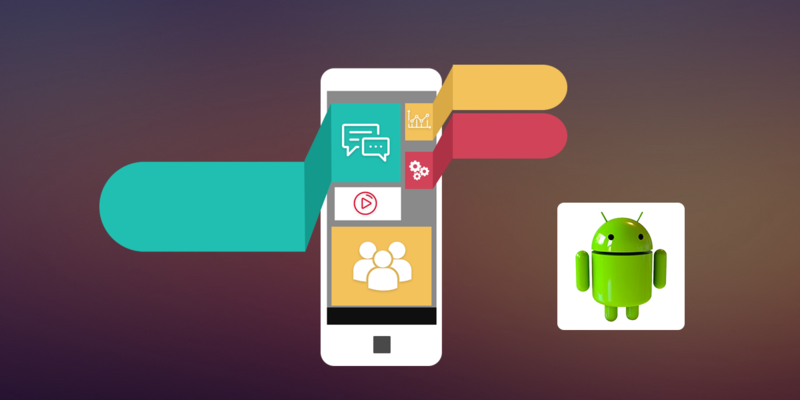 Herein, we discuss nine new features introduced by Android mobile app development. • To view more info, tap See all from last 7 days. • To view the apps that have pinged you recently, refer to the Recently sent section. • To view those apps that have been sending distracting notifications, tap Notifications in Settings > Apps & notifications. In case your routine involves a lot of copy and paste, there is one useful change in Pie. When you do a long-press to select text, a little magnifier pops up. It displays the text that you are exactly selecting. A dark mode was included in Android Oreo. However, the decision to enable it depending on the wallpaper was automatically decided by the system. Now in Pie, you can do the selection yourself. For this, tap Device theme, after moving to Settings > System > Display > Advanced. • To make detailed adjustments after opening the Sound menu, select the Gear icon. • To unmute or mute media audio, tap the Note icon. • The Calls volume can be toggled among Mute, Vibrate, and Ring by tapping the icon above the Note icon. • If the Volume button is pressed, the slider does not appear on the top but the right side. • If you press Volume buttons, rather than the ringer volume, the media volume gets altered. This simple change in volume functionality facilitates avoiding opening of a YouTube video and playing it at maximum volume accidentally. Depending on how the screen is situated, Android changes the orientation of the screen automatically. If you need to switch from landscape to portrait and vice versa frequently, locking the orientation to one of these becomes troublesome. However, it has become possible to lock the orientation. If you turn off Auto-Rotate and rotate your device to landscape, a new icon is displayed on the right side of the navigation bar. If you tap this icon, you can lock the landscape orientation. To rotate back to the portrait orientation, you need to tap the icon again. Panacea Infotech is an Android app development company USA, which can use all these new features. For shortcuts, the default combination is the Power + Volume down button. This is a little cumbersome to use. In Pie, it is possible to use the Power menu to take a shortcut. The notification has the Edit command, which when tapped seems to make changes to the screenshot. Several accessibility features exist in Android, which cannot be easily accessed. Pie has a new menu, which simplifies access to common functions. Go to Settings > Accessibility > Accessibility Menu to enable this menu. You have to turn the Use service slider on, and then confirm the prompt. Now, to the right of the navigation bar, you can view a new icon. If you tap this icon, a large menu is displayed. It has shortcuts to Quick settings, Recent apps, and Volume, etc. 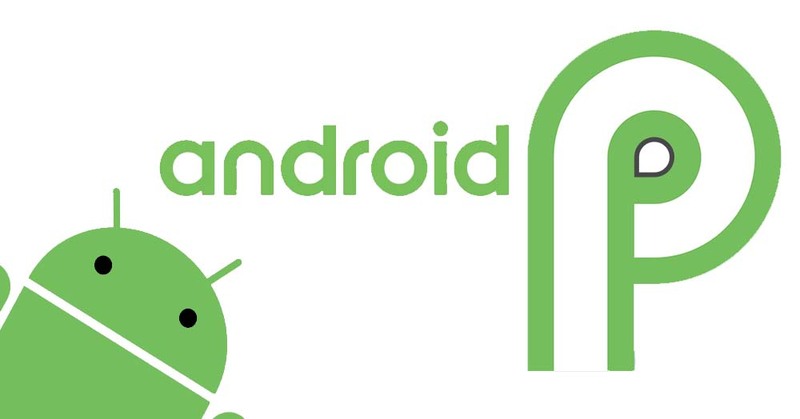 Due to this, users can have easy navigation to access Android’s features. This is a very interesting feature. You can understand how often you use your phone. You can also know the apps with which you spend maximum time. This feature has a dashboard that displays how frequently you check the phone, the duration you spend in handling apps, and the number of notifications sent by the apps to you. It is also possible to set daily time limits to prevent yourself from indulging in time-consuming apps. When it is time to sleep, the Wind Down feature changes the phone to gray-scale. The Pie also has a Do Not Disturb feature, which turns off video and audio notifications. Thus, it serves as a blockage for all distractions. The Digital Wellbeing feature is expected in Pie in the future. In emergency situations, the phone is safeguarded by the lockdown mode. To enable this, go to Settings > Security & location > Lock screen preferences > Show lockdown option, and then on the Power menu, tap Lockdown. This action hides notifications on the lock screen, disables Smart Lock and fingerprint unlocking, and locks the phone. To unlock the phone, you should use your pattern, password, or pin. This is a very helpful method in case a thief coerces you to use biometric methods to unlock the phone. A second feature is about restriction to SensorManager sensors, camera, and mic from idle apps. It happens that you have given permission to your app to access the microphone. However, unless you are actively using the app, this app cannot access the microphone. In addition to the above, the Android mobile app development has resulted in Pie having rounded corners across the OS, refreshed fonts, and more colorful Settings menu.